Somewhere along a paved path in Everglades National Park—a trails for cyclists, walkers and people like you—officials captured an 18 foot- and three inch-long Burmese python—the second largest in Florida history. 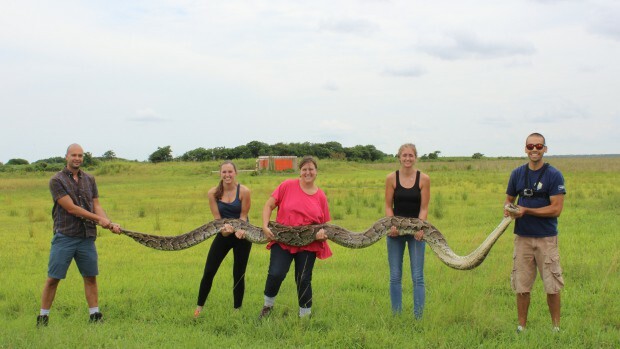 The female python is only four inches shorter than the Florida record. Terrifyingly, experts say snakes like this one can eat animals as large as deer and alligators.This goes to show you, next time you’re strolling around the everglades, stop strolling around the everglades.